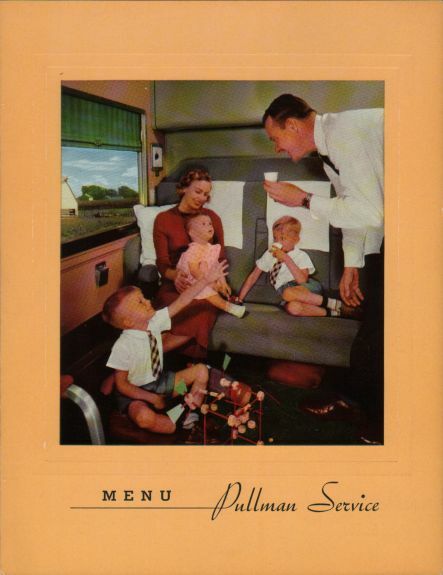 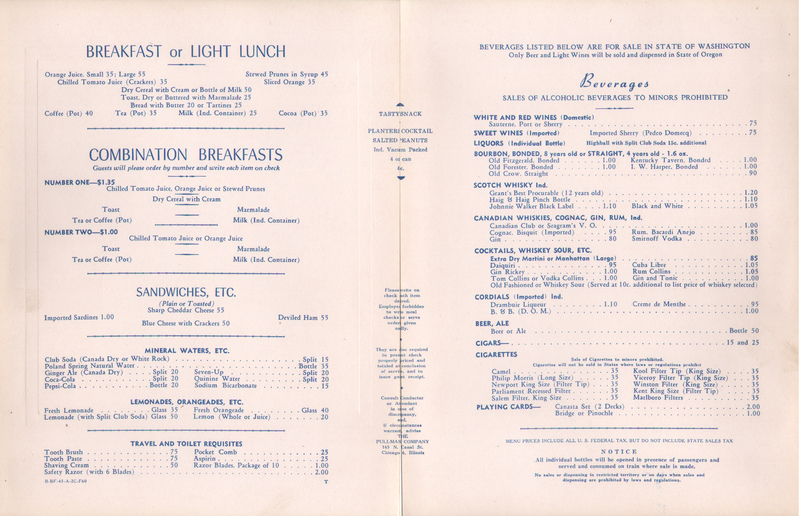 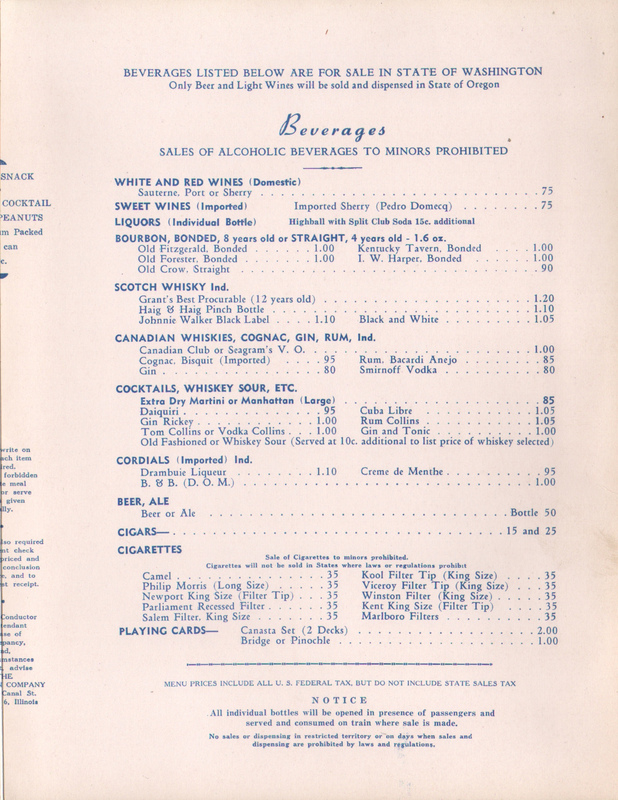 Description Breakfast or Light Lunch menu issued by Pullman in 1960. 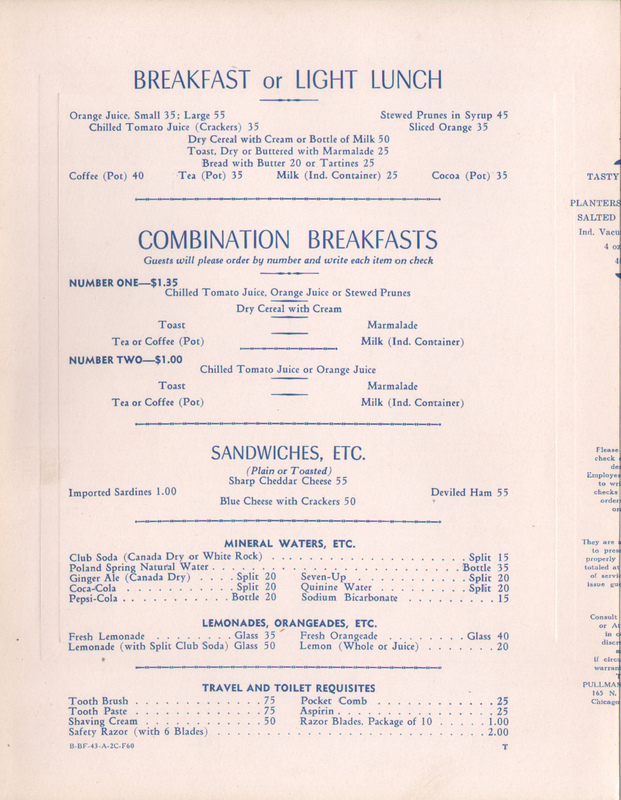 Lists Combination Breakfasts, Sandwiches and a full Beverage selection. Featured on the stock cover are a family of travelers, happy in their drawing room or compartment accommodations. 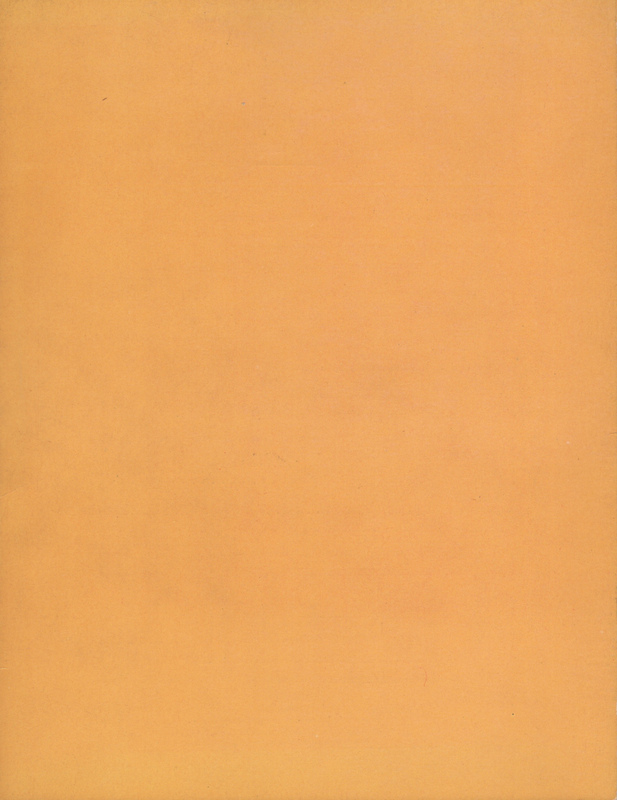 Extremely good condition.